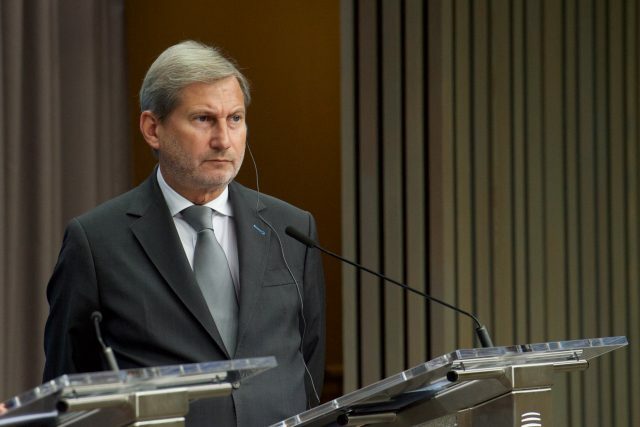 PRISTINA/TIRANA – European Commissioner for Neighbourhood Policy and Enlargement Negotiations Johannes Hahn payed his first official visit to the Western Balkans in 2019 on Thursday, meeting with the Prime Ministers of Kosovo and Albania in the countries’ capitals. “I had a good, open discussion with Prime Minister Haradinaj and Ministers. Looking forward on working closely on all open issues this year, so that Kosovo can advance on its EU path”, wrote Hahn on Twitter after meeting with Kosovo government. Haradinaj in turn posted on Facebook that Kosovo is unequivocally on the European path. “In that direction, we have made progress on our European agenda after fulfilling all the criteria for visa liberalisation. We expect that the decision on the recognition of our freedom of movement will be made swiftly”, he wrote. 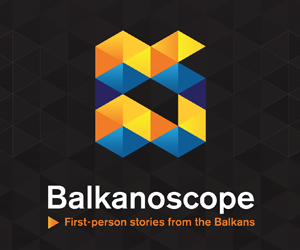 According to Gazeta Express, Hahn avoided mentioning the issue of tariffs on goods from Serbia and Bosnia and Herzegovina, despite the mounting pressure of the EU and US towards Kosovo authorities asking for them to be revoked as soon as possible. In Albania, Commissioner Hahn met with Prime Minister Rama, with whom he discussed the progress in EU integration related reforms and recent political developments in the region. 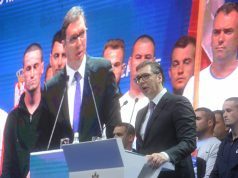 “This year is crucial for Albania. I am confident that the government, institutions and all political forces will continue momentum on key reforms, ahead of the decision of the European Council in June”, wrote Hahn after the meeting, again on Twitter. The justice reform in Albania continues to deliver results, and the institutional restructuring of the judiciary should be completed within the coming weeks, he assessed. He also highlighted the recent action against organised crime as a positive sign in this regard which needs however to become part of a solid track record and followed-up with prosecution and final convictions. The fight against organised crime and the fight against corruption at all levels remain priorities in the EU-Albania relations. Hahn added that a constructive political dialogue between all political parties and the readiness to work together in the interest of all Albanian citizens is essential for the European future of Albania. A cross-party agreement on electoral reform to address the recommendations from OSCE/ODIHR would be a good opportunity to show such readiness.